It may come as a surprise that the divorce rate is on the decline in America – at least according to a study conducted by Bowling Green State University’s National Center for Family and Marriage Research. Their data shows that from 1980 to 2015, the divorce rate decreased by 25 percent. But for a certain segment of married people – baby boomers – divorce is on the rise. 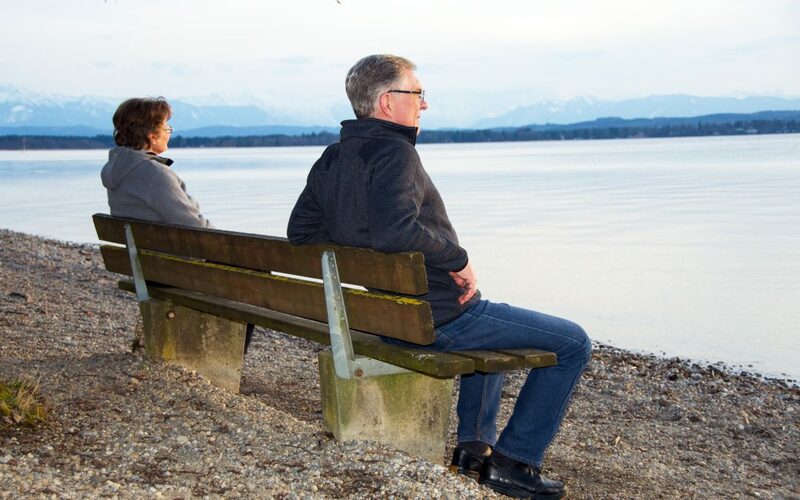 When married couples over the age of 50 (baby boomers) call it quits, it’s called “gray divorce.” According to a report by the Pew Research Center, divorce for the over-50 crowd has roughly doubled since the 1990s. For those 65 and older, the divorce rate has roughly tripled. Coughlin also says that even though many couples anticipate the empty-nest phase of life as a time when they will finally have uninterrupted time with and for each other, often times they find it isn’t what they expected it to be. “The average American can look to about 20 healthy years of life after age 60 — and for some people, many more years. With more couples anticipating the high probability of celebrating 50-plus years of marriage, there is a greater risk that one partner will be highly engaged in life while the other sits on the couch,” Coughlin says. What if I’m going through a gray divorce? Becoming single again, willingly or unwillingly, is difficult at any age. Divorce after the age of 50 is especially challenging on many levels. So let’s examine just a few of the emotional and financial challenges of gray divorce. The biggest financial challenge in a gray divorce is the limited window both parties have to prepare for retirement. The retirement you worked so hard for may need to be postponed, or at least be not as comfortable as you had dreamed it would be. What’s more, the funds and assets you and your soon-to-be ex have accumulated may not be, once split between you, enough for you to maintain even your current standard of living. Not only might you have to put off retirement for a while, you will likely need to reduce your standard of living right now to make ends meet. If cutting costs and reducing your standard of living isn’t enough and you need an immediate source of income, still resist the urge to dip into your retirement early. Doing so could not only result in your not having enough income on which to retire, it also could result in tax penalties and fees for receiving retirement funds at too young an age. A reliable attorney will take precautions to minimize your need to deplete your retirement savings early when the retirement assets are divided in your divorce. She can also refer you to a certified financial planner to help you get through your financial challenges and ensure that you have money to retire on, when the time comes. People going through a gray divorce have many of the same challenges as those who divorce at younger ages: the possible change of residence, loss of savings and property, and the loss of “couple friends” are just a few of the many difficult challenges anyone going through a divorce must face. But older individuals often encounter additional stressors that the younger set doesn’t have to face. Even though the childrearing years are over for baby boomers, grown children may still factor into the equation as these days, more and more “boomerang children” come home again to live with their parents. This creates both emotional and financial stress on the older single parent. Boomers also must often care for aging parents who live with them or are financially dependent on them. While these situations can usually be more easily borne as a couple, it can be incredibly difficult to handle such challenges alone. If you find yourself facing these types of challenges, be sure to reach out to trusted family members, friends, a support group, or a mental health care provider for assistance and support. If you are the partner considering a gray divorce, you have a few choices. You can choose not to divorce and seek a counselor or marital mediator to determine whether staying married is best for you. But if staying married is no longer an option, the next step is to seek the advice of a caring divorce lawyer who understands the effects of divorcing later in life and who can connect you with a financial advisor who can help with the challenges of planning for retirement after divorce. Christine M. Howard and her team believe that divorce with dignity is possible at any age, and we are ready to help you achieve just that.